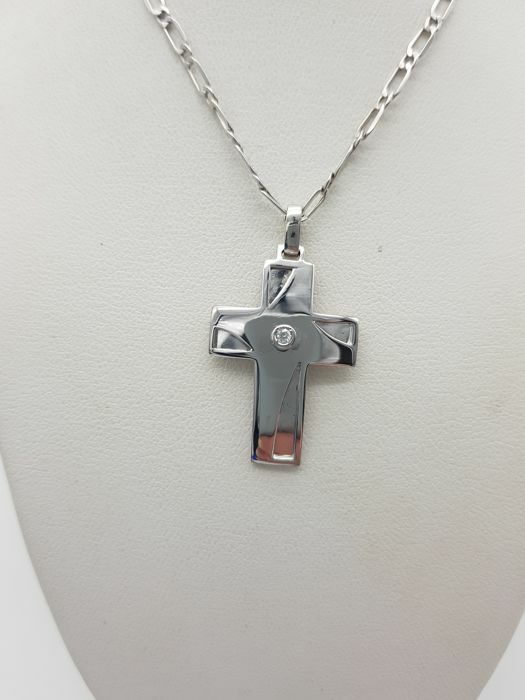 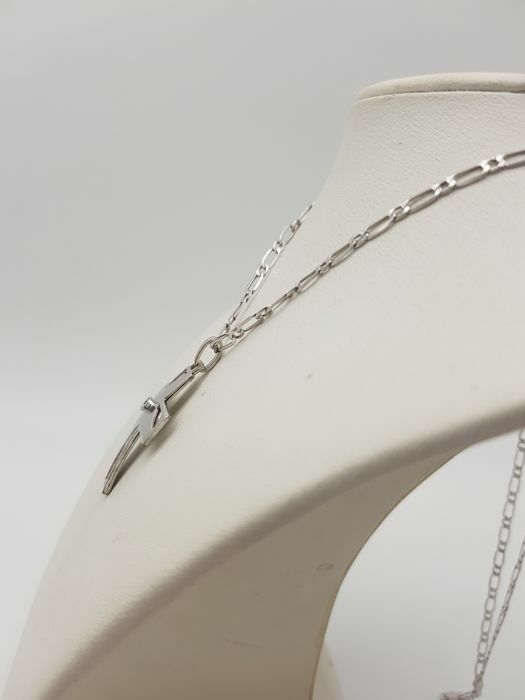 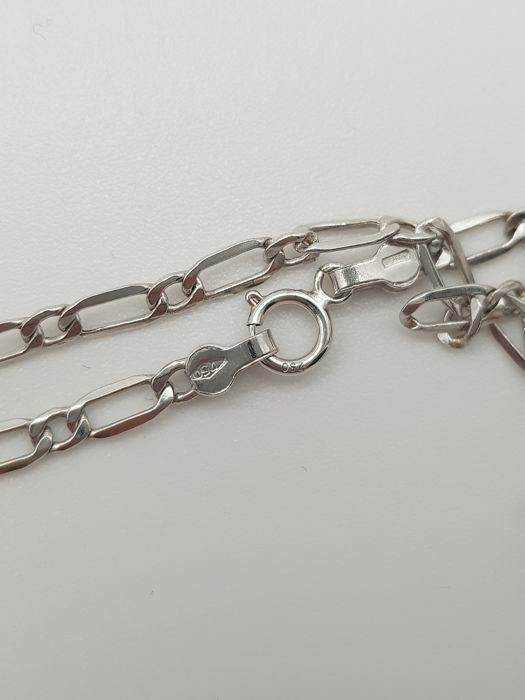 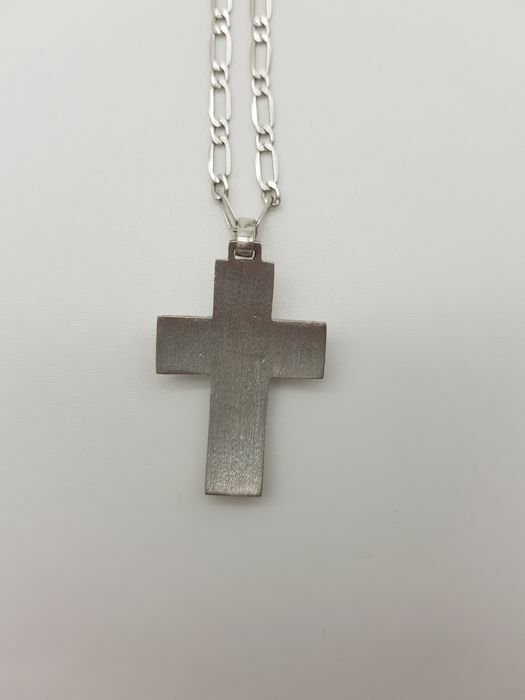 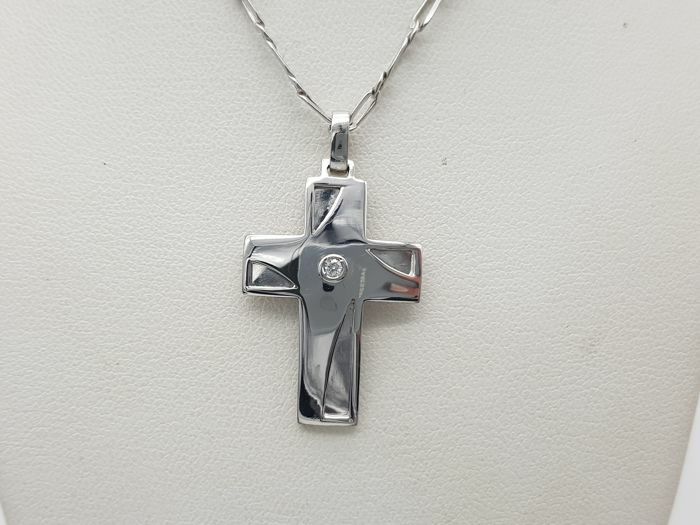 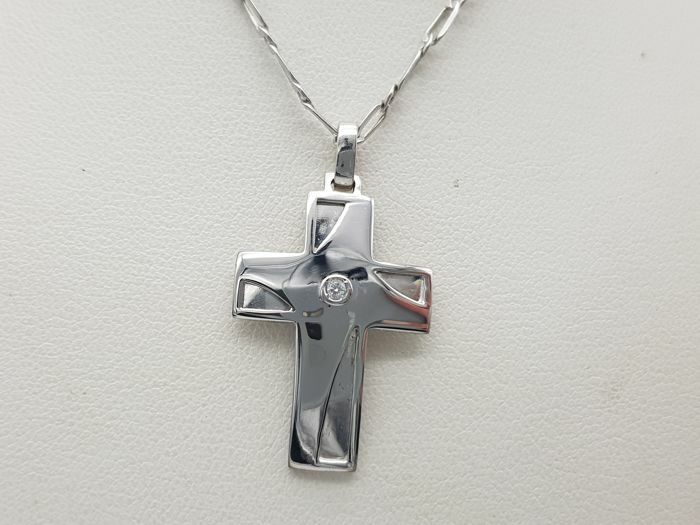 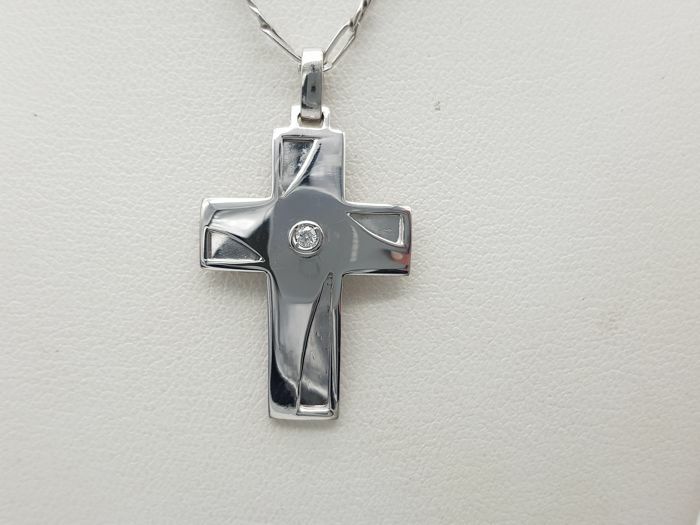 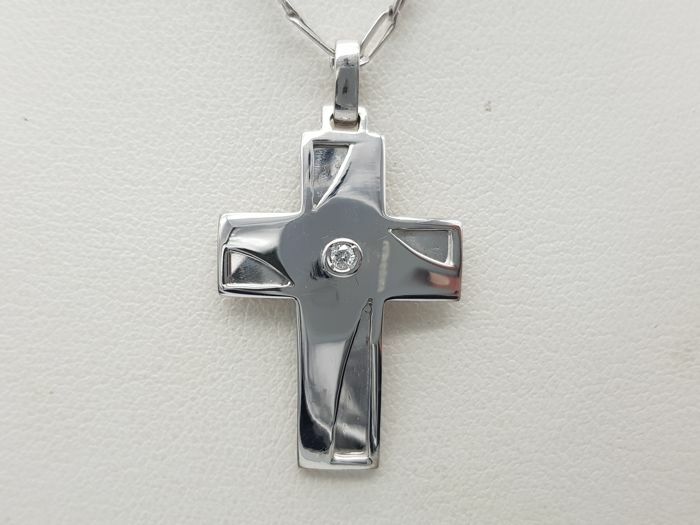 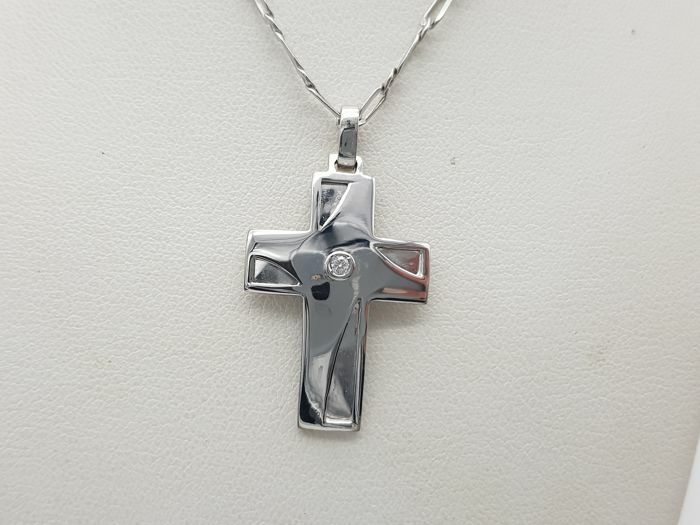 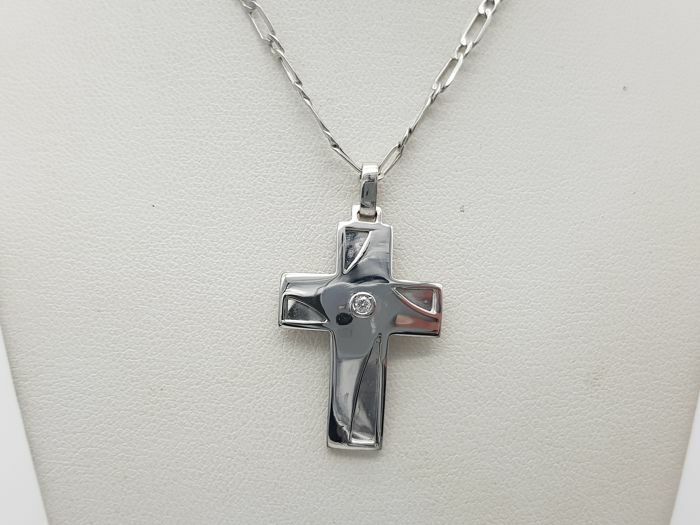 Necklace with cross in 18 kt white gold with 1 brilliant cut diamond for an estimated weight of approx. 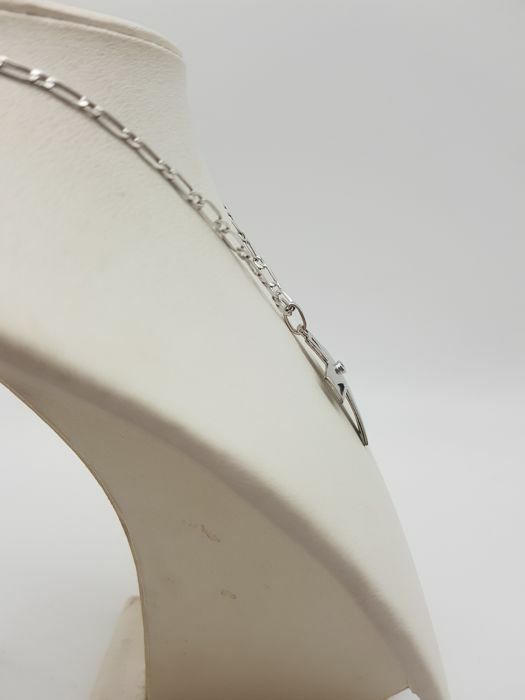 0.05 ct, colour F-G, VVS. 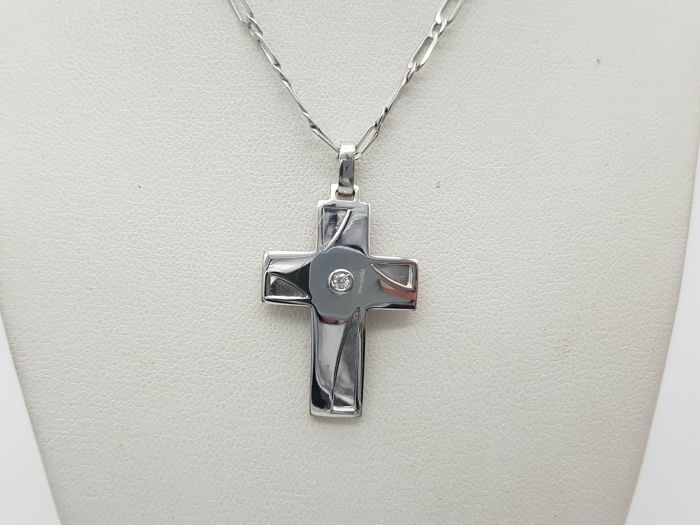 Pendant dimensions: 3 x 2 cm.